Each week Timberlake gathers as a camp. Legends are read, awards are given and handprints are left on standards. We do this because we think it is important to recognize growth in our campers, and equally important that they recognize it in themselves. It is important because young men are made to reject passivity, accept responsibility, lead courageously, and invest eternally. These things are always best learned in families, but we believe they are next best learned at camp. We also believe that the things that happen at camp help boys grow and so we have designed our Little Chief program to lay breadcrumbs on the trail for growth at camp. As part of Little Chief boys accumulate “marks” based on activity achievements, elective challenges and cabin leadership. Each mark takes them a step closer to their next “promotion,” toward the highest rank of Little Chief. With each mark and each promotion boys receive brands on their “skin,” which is a piece of leather on which they keep a permanent record of their camp accomplishments. In the end the most important part of program comes after the ceremony is over. 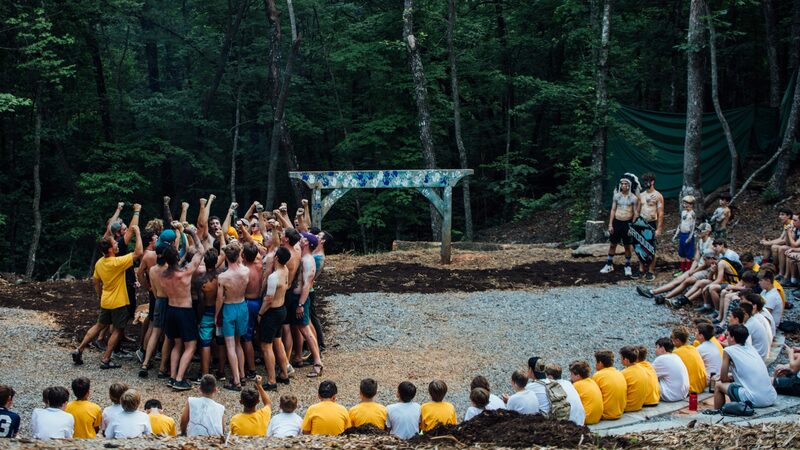 During cabin time on the evenings that we hold council the counselors will go to each camper to describe the gifts and abilities that they have noticed in him. This is where a boy who may never earn a Little Chief Promotion, or a Gold Bar, or be elected to a tribal office, can be told about what we see God doing in his life, and his contribution to the camp family.